J'apprécie le clin dil à deux films cultes que j'affectionne beaucoup. It didn't grab me immediately but it is pretty cool and is growing on me more. ▒ Grappig, swingend en vlot plaatje uit begin december 2014 van de Amerikaanse rock formatie uit Illinois: "Fall Out Boy" !!! 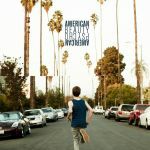 Voorloper van hun onlangs verschenen gelijknamig studioalbum: "American Beauty / American Psycho" !!! Vet 4 sterren ☺!!! I was a bit hesitant with this at first, since it seemed really loud and fast for not really any good reason. It grew on me though and one of the things I really like about it is how crazy it is, just keeps going and going with the energy not letting up for the most part. Memorable hook too. The only thing I never warmed to was the bridge which still doesn't do much for me. This track is a lot of fun though. <br>Sorry, ist mir eine Spur zu nervös<br><br>2014: #61 UK.